Our family has been using essential oils for about 3 years now and we LOVE them! We use them every. single. day. 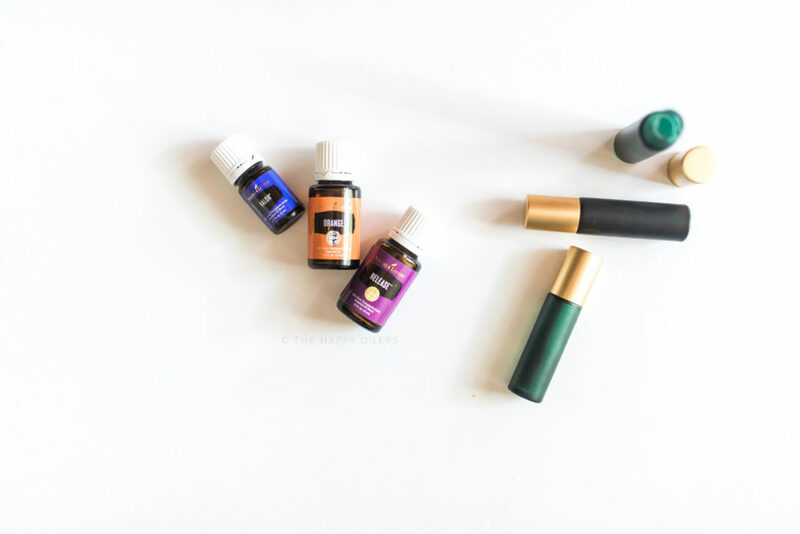 One of the questions I get asked the most about essential oils is what do I actually use them for. So I thought I would share some of the ways that we use them on a daily basis. 1. 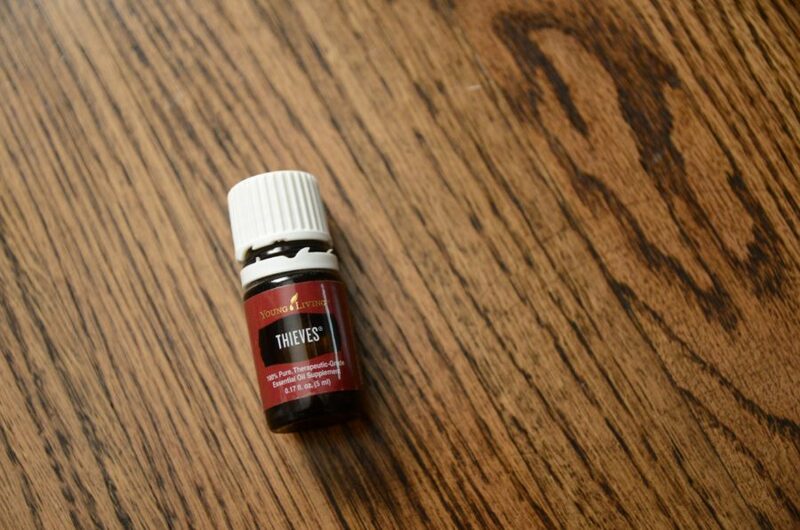 For immune support – One of the main reasons I got started with oils was for supporting our immune systems. I have children and they go to school and are exposed to so many germs. 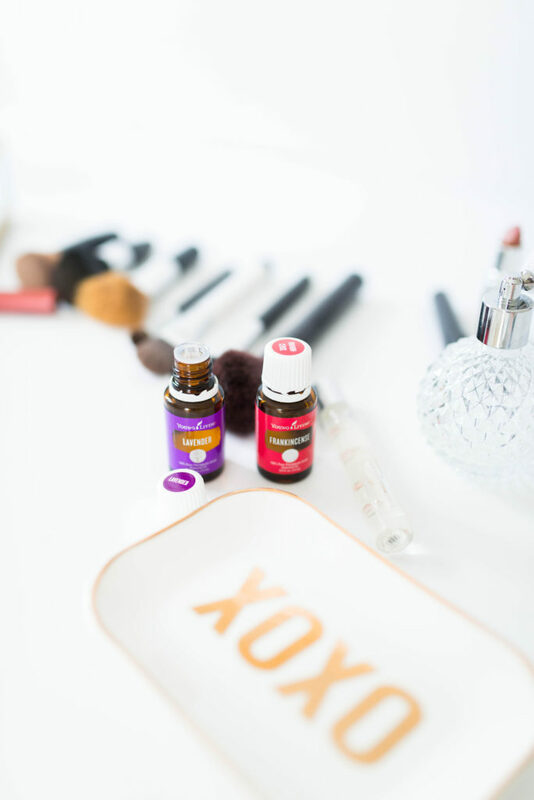 Adding oils to our daily routine has definitely been a game changer for our family. 2. 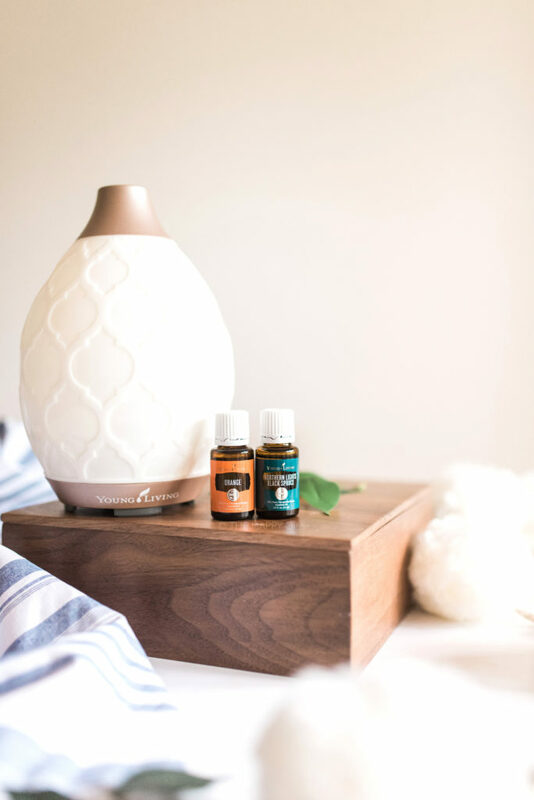 For helping our kiddos sleep better – Another main reason that I started using essential oils was because I wanted to change my son’s sleeping habits. At 2 years old, he was still waking up in the middle of the night on a regular basis and coming into our bedroom. This mama was ready for a solid night’s sleep! 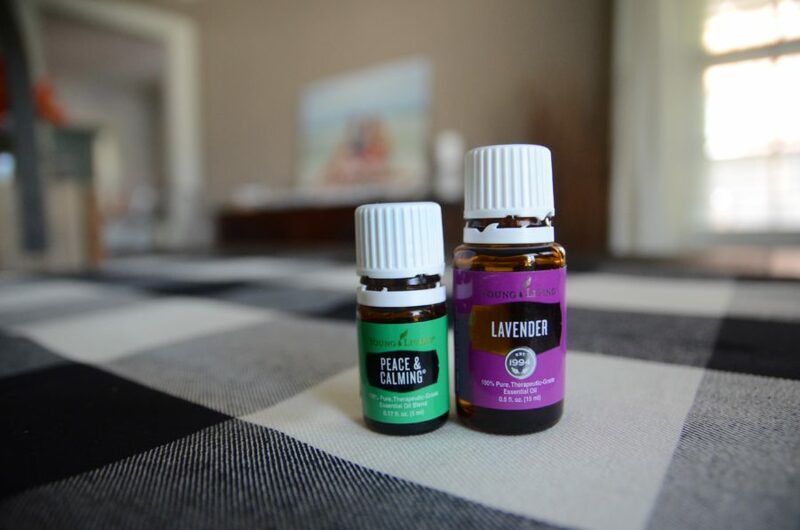 We started diffusing Lavender and Peace & Calming in both of the kids’ rooms at night at it definitely helped. I also try and diffuse other relaxing oils in the living room about 30-45 minutes before my kids start getting ready for bed. A couple of my favorites are Cedarwood, Gentle Baby, and Valor. 3. For healthy skin – I’m the type of person that isn’t devoted to a certain brand of skincare or makeup. I have always tried different ones and maybe that’s because I never found anything that I fell in love with. Now I use essential oils and my skin is loving it! Frankincense supports healthy, glowing skin and it’s also very calming and grounding. I made a face serum that I apply every night before bed. It contains Frankincense, Helichrysum, Myrrh, and Lavender mixed with jojoba oil. I also use Tea Tree or Purification on blemishes. 5. 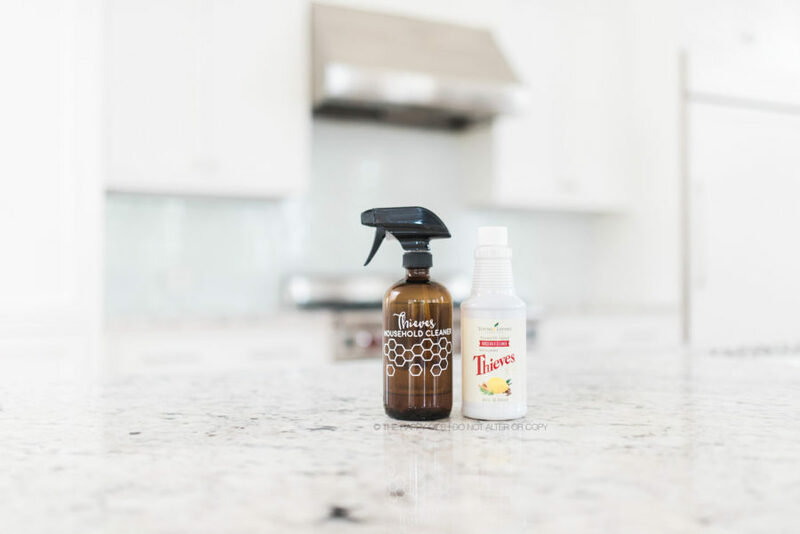 For chemical-free cleaning – I’ve never been a big fan of cleaning products. The smells are always so overwhelming and I’ve had headaches from cleaning the bathroom. Enter Thieves all-purpose cleaner! Not only is it all natural, but it’s safe to use around my kids and it is 100% effective. I use it to wipe down countertops, windows, appliances, and the kid’s bathtub. There are also DIY recipes that you can make using essential oils themselves, like using lemon oil to remove sticky residue or thieves + lemon mixed with baking soda to make a scrub to remove stains. All natural, plus they leave your house smelling amazing! 6. To make our smell good – I used to be a HUGE candle user. I would stock up on those big, 3 wick candles when they went on sale and burn them all of the time to make my house smell good. Between dogs and kids, there is usually some kind of odor in the house and I would rather my house smell like flowers or citrus fruit. Then I started reading up on how toxic candles are when you burn them and I decided that I did not want to expose my children to that. So now we diffuse essential oils! Not only do they make my house smell amazing, but they have added benefits. 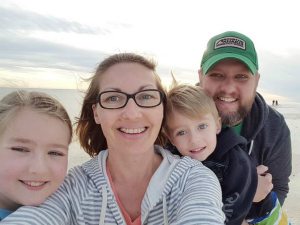 Hi, I'm Tracy - wife to Jay, mama to Maddie and Heath, photographer, traveler, and natural wellness advocate. I'm so glad you stopped by!